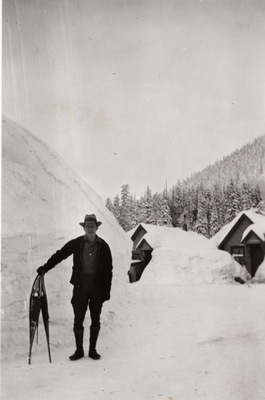 Morris Jenkins at Snoqualmie Pass in upper Kittitas County, Washington. "Jenkins, Morris" (1935). Frederick Krueger Photographs. 393.